Beccy Owen is creating new music. I'm Beccy. I've been a DIY musician since I started out about a hundred years ago (the internet was still on dial-up and I had a mini-disc player). I'm a singer, songwriter based in the UK and I'm going to be releasing new, original material in 2019. There's a sneak peak of an early version of a new song 'Tawny Maker' (even though I introduce it with a different title) in the video. Various things about the music industry have led me down a more self-sufficient path however, the DIY approach can also mean very limited resources are available, which is why I am here, on the blag for your support! Some of you may have stumbled across this page having never heard my music or seen what I'm about. Welcome! There are going to be some videos here that will bring you in to my general vibe and give your bonce and ticker* (*head and heart) a chance to probe my shtick (not a euphemism). You can also check out a video of my last album launch here and there's various other things online if you google 'beccy owen'. Some of you may have been supporting my creative endeavours for years by coming to gigs, buying albums, crowdfunding the last original album, or following my online ramblings and activities. THANK YOU. I'm the product of so much encouragement from other people, and I hope you will come with me on this new adventure as I try to carve out a new body of work that reflects my experiences and the world as I see it. As a patron you will have exclusive access to original songs, videos, performances, musical experimentation, collaboration, ramblings, an occasional mapping of my mental health journey (for better or for worse) and other meanderings. If you like what you see and hear, you might decide to become a patron of my work. In which case I'd be chuffed to bits: YAY YOU!!!! You can do that for as little as $1 a month. *Patreon is site that runs out of the US, but if you donate you'll find that it converts the currency of the country you're paying from. NB: This Patreon campaign is dedicated to my solo creative endeavours. For my Pop-Up Choirs please go to POP UP CHOIRS for my four-piece, electro-pop band, band please see JOY ATLAS. Access to patron-only updates as the new album unfolds. Access to streamed live concerts, exclusive teasers, videos & pics. Online "Thank You" credit as a Subscriber. Beccy's 'The Making Of' Diaries. A fiver a month? Nice one! This contribution means you'll receive all $1 rewards along with MP3 downloads of any new material created as a result of this Patreon. This will include demos, exclusive singles and the completed record before it's released to the public, all delivered straight to your email address. PLUS, as a supporter, you'll also receive a discount code for 10% off all new album merchandise. Access to streamed live concerts, teasers, vids, pics. Online "Thank You" credit as a Supporter. MP3 Downloads of all new material. 10% Discount of all new album merch. "Thank You" credit as a Sustainer both online and as part of the album artwork. 25% Discount on all new album merchandise (sent as code via email. Names will be collected for album artwork when the album is complete. You must be an active patron at that time to be included. this is an amazing amount of support to give an independent musician each month. You will be credited as an Associate Producer with your name and a thank you inside all album artwork. 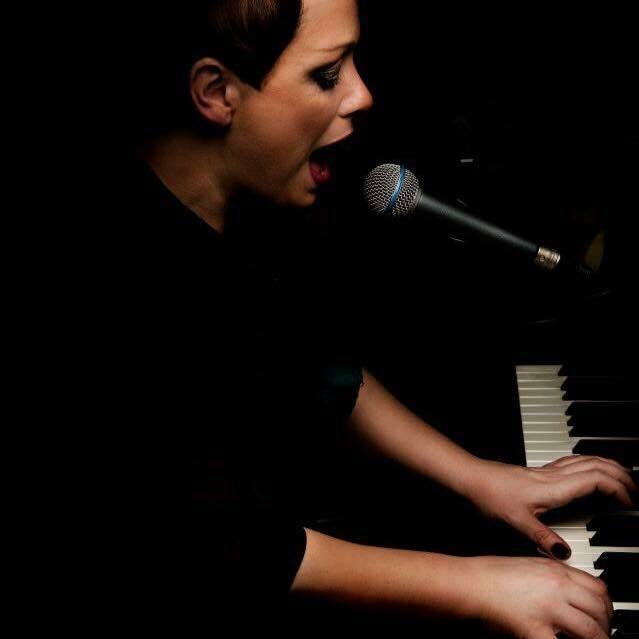 PLUS you will receive two tickets to Beccy Owen gigs of your choice for the rest of time. Seriously. Forever. Your tickets are on me. You'll also get 30% off all new album merchandise. "Thank You" credit as an Associate Producer both online and as part of the album artwork. 30% Discount Code for all new album merchandise. Universal concert and meet and greet passes for two for life. Beccy Owen gig tickets for two, for life. NB: Patrons must have a minimum of 2 months of full patronage to qualify. Tickets are non-transferable. Offer expires if you cancel or downgrade. Do you exist? I mean, thank you if you do, but you really don't have to do this! Of course, you already know that. Why am I trying to talk you out of it? Choosing this reward tier means that you become a Co-Producer of the new record and are credited as such on the album artwork. You will receive all previous rewards and also be able to shape the new record by offering me track-by-track feedback as the new album emerges. Access to streamed live concerts, teasers, videos, pics. Published "Thank You" credit as a Co-Producer both online and as part of the album artwork. NB:Patrons must have a minimum of 3 months of full patronage to qualify. Concert tickets are non-transferable. Offer expires if you cancel or downgrade. You are the stuff of myth and legend, of Homer and The Mabinogion (it's Welsh.) Are you a unicorn? Maybe you can't reveal that to me, but I just want to say that I'm humbled that such a magical creature has deigned to donate to my Patreon. And I, a mere mortal muso. Sardonic brain fart aside: thank you. Choosing this reward tier means that you become a Executive Producer of the new record and are credited as such on the album artwork. You will receive all previous rewards and also be able to shape the new record by offering me track-by-track feedback as the new album emerges. Published "Thank You" credit as a Executive Producer both online and as part of the album artwork. WAW! As IF...but IF I reach this awesome goal, I'll be able to afford to pay for some support to get the new music more widely heard...I'll also start performing on youtube live stream or something similar by way of thanks.